Deals Hot off the presses! Amazon just let the cyber cat out of the virtual gift sack and emailed me the following list of all the best Amazon Cyber Monday sales for 2015. Oh my aren't they juicy! These are some of the best deals I've seen, and I have no doubt this will be yet another record-breaking holiday sales year for Amazon.com thanks to the following deep discounts. 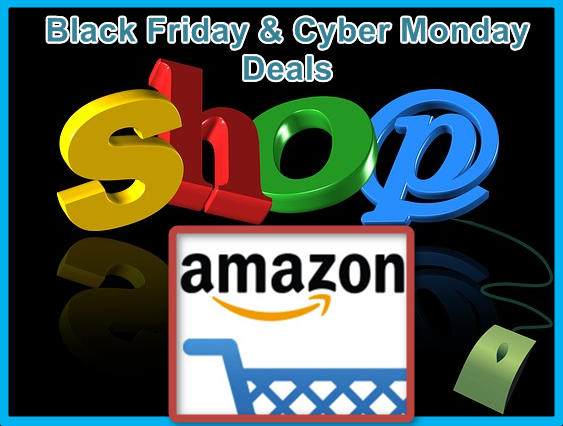 Grab a few of these nice 2015 Amazon Black Friday and Cyber Monday sales and don't miss the other tips for extra savings below. 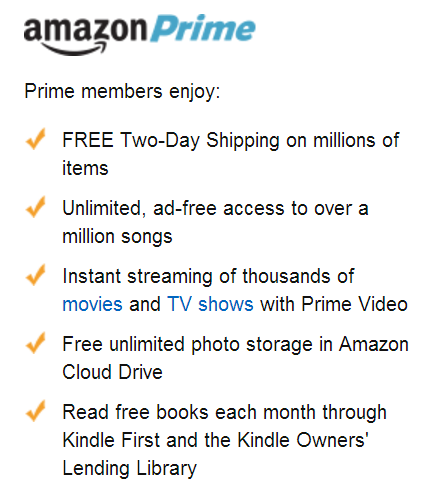 With Amazon Prime Membership you won't have to pay shipping on most items from Amazon. I highly recommend you grab one of the best frugal bargains you will ever find...(at least get a free 30 day trial if you plan to shop these Cyber Monday deals at Amazon.com). It's a no-brainer! You can easily cancel before your free trial ends, if you so chose. But with all the other great benefits, Amazon has made it well-worth keeping. I just bought an Amazon Prime membership using some of my Discover Cashback bonus rebate (Amazon makes it so easy to buy with Discover Cashback by the way...almost TOO easy, lol). I absolutely love my Amazon Prime. I hooked my family members up to my membership for free (yes, they allow you to share your membership), so now my parents have all the benefits, gratis. My dad loves his new selection of FREE Amazon Prime Videos and TV shows. And my mom never has to grumble about high shipping charges ever again. The movie selection alone is unbelievable. I like it better than Netflex. Just watched "Ex Machina" last night. They have many movies that were in theaters recently or are still in theaters. Love searching through the forty or so genres of movies too and being able to save interesting titles to my watchlist for later viewing. And the free shipping and other perks save me tons of money every year too. That's why the small membership fee is a great investment for most people who like to shop at Amazon. You recoup it fast in savings on shipping fees you'd otherwise have paid. I love this time of year for frugal online shopping. Forget traffic jams, irate shoppers, picked over shelves, and standing in long lines. I'll stay home digesting my Turkey while saving hundreds of dollars doing most of my holiday shopping online while in my jammies...especially on Cyber Monday. I'll be snapping up some of these irresistible Amazon.com bargains and having them delivered right to the front door FREE (due to above Prime Membership). That's smart frugal shopping at its best! Be sure to bookmark the above link location into your browser so you can return to Amazon's daily deal rundowns. Amazon is celebrating their busiest season of the year with 8 days of new deals that will continue to be posted there as often as every five minutes. There will also be 10 remarkable daily Cyber Monday Deals of the Day and thousands of extra juicy Lightning Deals starting on Saturday, November 28 and lasting until December 5th.